Twitter went wild over Rihanna’s stunning Dior spot, and the fact that she was the storied French fashion house’s first black woman spokesmodel. 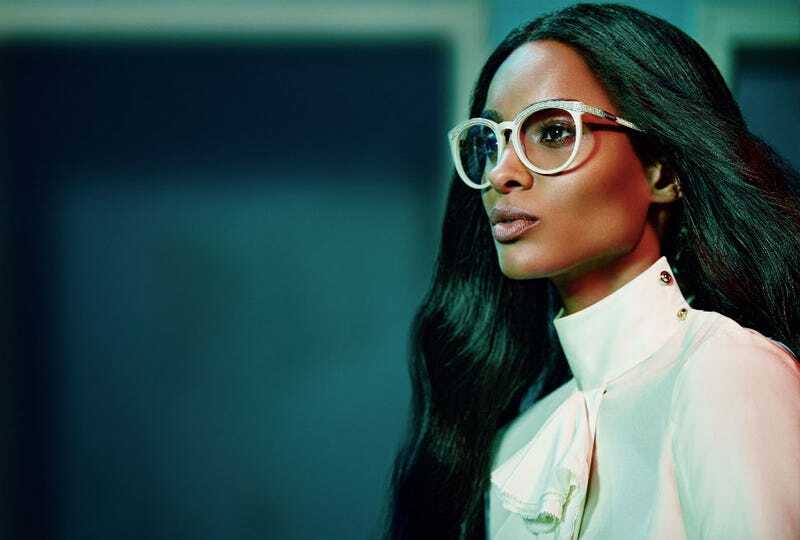 Now, we’re guaranteed to see at least one more black pop star in the fall/winter advert cycle: Ciara is the new face of Roberto Cavalli, another revered European design house with the power to establish icons out of its models. God, I love fashion press copy like this! Full of self-serious adjectives that don’t carry a ton of meaning but evoke a certain atmosphere, like the whiff of perfume spritzed upon your person by an elegant shopgirl at the entrance of Macy’s. Enchant. Anyway, here are all the images from that campaign, with Ciara looking like a beautiful wild tiger. She may be a cipher at times, but we really recognize her legend when we get her in her dancing or modeling context.